Hannahs Silk (Indy) and Cadanbyrig Drifter (Joey) went to Aston le Walls to compete in the BE90 level class at their unaffiliated horse trials. 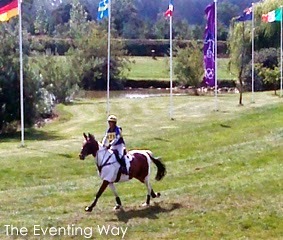 Indy was first to go, she scored 36.5 in the dressage. She jumped a great round in the show jumping just rolled one pole and went really well cross country - much more confident than the week before at West Wilts which was pleasing. Joey was next up and again found the cross country near to the arena far too exciting to concentrate on dressage but then jumped a good and easy clear round in the show jumping and followed that up with a confident clear across country. 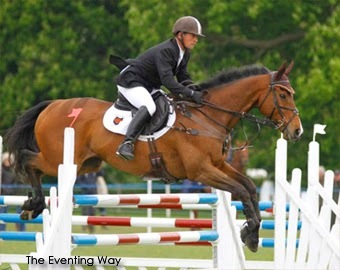 The Navigator went to Rockingham to do the CIC** but only intended to do dressage and showjumping as a preparation run before Houghton the following week. He did a good test in the main arena and focused despite the atmosphere with flags flying and people moving around the tradestand area. He scored 52.2 which left him in the top 15 overnight. The showjumping was the following day and was an up to height track again in the main arena. His jump has been improving and we have been building the partnership at this level and although he had a couple of rails down the overall round was very pleasing. He was withdrawn after showjumping as planned. 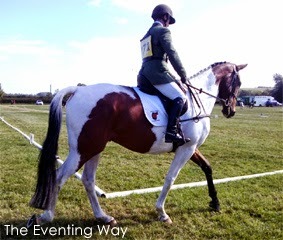 Check back soon for another update from The Eventing Way event diary to find out how they got on at Houghton as they continued the season with their SMART saddles.